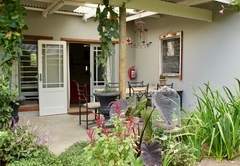 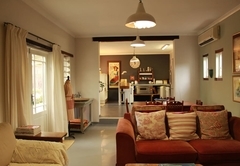 Kimi's Self Catering Cottage is a property providing self catering in Simondium for up to 4 guests visiting the Cape Winelands region. 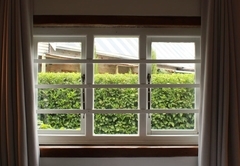 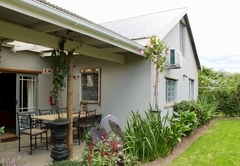 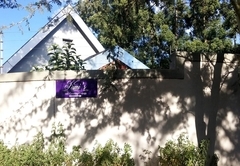 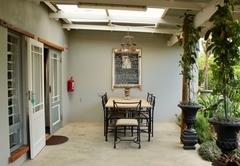 Kimi's Self Catering Cottage is situated on the R45 in Simondium, 8km from Paarl, 18km from Franschhoek and 18 km from Stellenbosch. 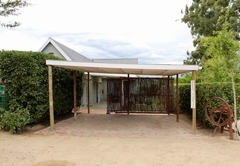 The property is enclosed with a fence topped with electricity and the gate is remote control operated. 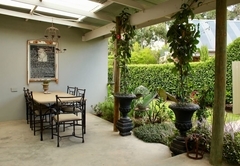 The cottage is near to the Main House but is still private with an evergreen large hedge dividing the two houses. 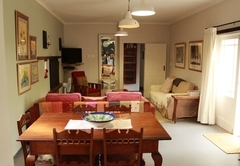 You will experience the ambiance of family living as well as the company of our two beautiful dogs. 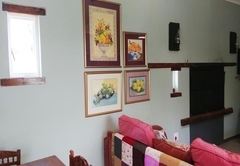 The cottage sleeps four guests in two bedrooms. 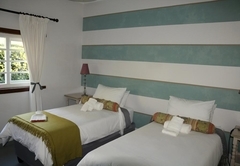 There is also a large couch in the lounge as well as mattresses (all bedding and towels also supplied) for those willing to bed down more informally (at an additional cost per head). 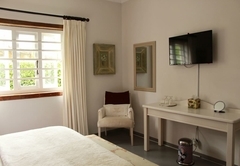 The main bedroom has a wall mounted flat screen TV, a large walk through cupboard / dressing area, an en-suite with bath, basin, bidet and toilet. 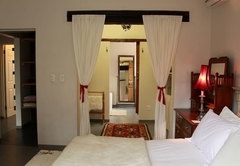 The bed is Queen sized and the room has an air conditioner. 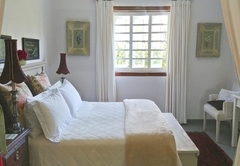 The second bedroom has two single beds and a fan is provided. 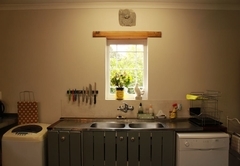 The bathroom has a toilet, shower and basin and is situated just across the hall. 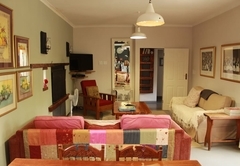 The cottage has an open plan kitchen, dining and lounge area with an indoor barbeque / fireplace. 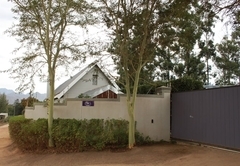 It has a flat screen TV offering all DStv channels. 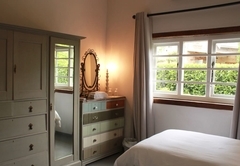 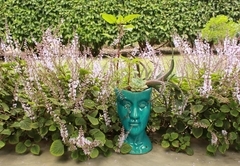 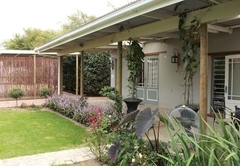 Kimi's Self Catering Cottage is situated in the midst of top wedding venues, wine farms, restaurants and beautiful towns and also surrounded by our magnificent mountains. 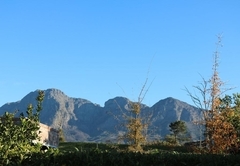 A scenic drive will take you to the beautiful beaches in Cape Town or Strand. 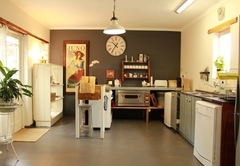 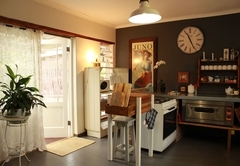 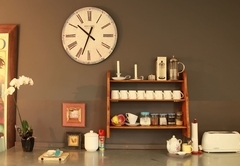 Response timeKimi's Self Catering Cottage typically responds to requests in 5-10 minutes.